I can vividly recollect that it was around 21st of February; 1957.We had finished the sixth and the last paper of Middle Standard Examination in Govt. High School, Malerkotla. This Special examination, meant for the Govt. Middle Schools, was not mandatory for High Schools but we - the select three students - were sponsored by our school to appear for the scholarships awarded to those scoring high marks in this examination. I do remember that it was the time of the Second General Assembles of the States and the Lok Sabha Elections in India and the high-pitched propaganda by loud speakers was indeed in full swing. We could hear it loud and clear in the examination room, even though engrossed in solving our question papers. The announcement on the loud speakers on that day informed that Shri Dhebar, President of the Indian National Congress, would address a public meeting in the evening in the ground of the Grain Market of the city. I got quite excited to have a glimpse of a leader who was the chief of the party of Gandhi and Nehru - the Party that had won freedom for the country. At the big public rally, I - then a child of 13 - was, however, impressed much more by the oratory in Punjabi and personality of a Sardar, immaculately dressed in the black Sherwani and churidars - and a well adorned white turban distinguishing him apart among the many crowding at the stage. He was soon holding the mike to introduce the frail looking Gandhian, announcing his full name - Uchharangray Navalshankar Dhebar Ji - and made a moving speech eulogizing the sacrifices of the Congress Party in the struggle for freedom. The name of this person, in his youthful early forties, was Giani Zail Singh, who was then Vice President of the Punjab Pradesh Congress Committee. I came to know that he had himself been imprisoned and tortured in the notorious Princely state of Faridkot. 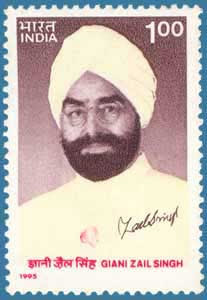 It was confirmed in the later years that he was a faithful friend of the freedom fighters in my town, Ahmedgarh, including my school teacher Giani Sucha Singh ‘Dardi’ and other popular patriots in the area like Sardar Ganda Singh Kup Kalan, S / Shri Babu Ram Sood, Amar Nath Jain, Ram Sarup, Hukam Chand etc –all Advocates and Praja Mandalites (activists against native rulers) - in the neighboring state of Nawab of Malerkotla. After serving for one year as a lecturer in English in the DAV College, Jalandhar, I was selected for Punjab Govt. Service and served in Govt. College, Bathinda from Sept. 1967 to June 1969. My soul mate friend, Prof Sat Prakash Garg, was quite intimate with many political animals of the area including the several working closely with Giani Ji. I remember meeting one Zora Singh Brar. There were tons of stories floating about his deep concerns for the marginalized masses of the formerly PEPSU area under the oppressive feudal lords; his being a rare amalgam of being a devout Sikh and a truly secular nationalist; his abundant humanity and humility as a politician and above all his fabled generosity towards old friends of the era of freedom struggle, not to speak of his magnetic charm to win new friends. Raja of Faridkot's prison, with his elder brother and father. The politics in the state had undergone a quick sea change in the wake of the reorganization of Punjab in Nov. 1966 after the formation of the new Punjabi speaking state. The next five years witnessed a game of musical chairs with six chief ministers warming the chair and the situation of instability resulting in grievous set back to the progress of the state. The limited factional agendas and divisive communal politics of the Akali Dal and the then Jan Sangh sowed seeds of many avoidable problems in the newly born truncated state. The turning point was observed in the horizon in Dec. 1970 when Giani Zail Singh emerged victorious in a by election in Anandpur Sahib. On the trail of this victory, I became an authentic witness to a rare comic-politico event in my home town, Ahmedgarh. 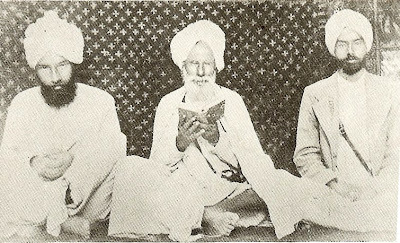 Shri Kishori Lal, who claimed to be Giani Ji’s comrade during the struggle of the Praja Mandal epoch, in moments of tall talking in the company of fun loving friends in the Gandhi Chowk-the Hyde Park of my town, got tricked into a bet that he could get Giani Zail Singh to come to speak to the people in the Chowk within 24 hours. And, lo, behold, the waiting crowds getting bigger and bigger-around 10pm, Giani Ji was seen alighting from the old Fiat car, smiling and holding proudly the hand of Kishori Lal. Though looking exhausted, he climbed the make-shift stage and exclaimed in a deeply hoarse voice, "when old friends call me, come what may, I have to come to reciprocate their affection and good faith-I would continue doing so even when I am not in this world!." He, of course, cautioned Kishori Lal to be more prudent in future in staking their friendship over trifles. Giani Ji had surely conquered the hearts of all the people gathered there - I being one of them, now a few months away to join the Indian Foreign Service. I had the privilege to call on Giani Ji in Oct. 1972 in his office as Chief Minister of Punjab, along with three other IFS colleagues, after we finished our District Training Program in Punjab. My career in the Foreign Service resulted in my lying abroad for the most of the years of Giani Ji’s active political career till his last. It was, however, always so instructive - at times deeply disappointing and disturbing too - to discuss with good old friends the complex forces at work during the long dark period of extremist violence in the Punjab. Some of them opined that the return of Mrs. Indira Gandhi to power in 1980 with a massive mandate against Janta Party’s sickening internal feuds and gross misrule had the seeds of degeneration and decay of political proprieties in her party. The naked parade of dynastic rule; the rag tag of Sanjay’s followers; the principle of ‘poodle loyalty’ above all; ministers turning money - spinners and ‘masterly mishandling’ of situation in the Punjab consumed not only the last four years of great Indira Gandhi but also singed a promising career of youthful Rajiv Gandhi. Giani Ji was destined to play –or some times denied to play-the most crucial role in the events pregnant with most tragic consequences for his beloved Punjab. What an irony of history: the most valiant and most patriotic Sikhs had been at helm of affairs in every walk of national life of India since Independence till a devout Sikh was elevated to the highest constitutional post of the land. The memories, anecdotes, jokes, gossips - good, bad and ugly - of the colourfully simple life of Giani Zail Singh (May 5, 1916 - December 25, 1994), continue ‘Google-searching’ in the ocean of my consciousness - some one who never knew him personally. The well wishers of Giani Ji - and also those not well disposed towards him - it is some satisfaction that the book, in the first person, titled, 'Memoirs of Giani Zail Singh, The Seventh President of India' compiled by S. Manohar Singh Batra, who in the words of Giani Ji, "is a highly competent official, a retired Deputy Director General of All India Radio … my Officer on Special Duty since early 1986", was published in 1997. The 50 chapters of the book, Pages 317, Har Anand Publications make an engrossing reading for all those interested in a turbulent period of India’s recent history. The politicians of Punjab have preferred not to pen their memoirs. 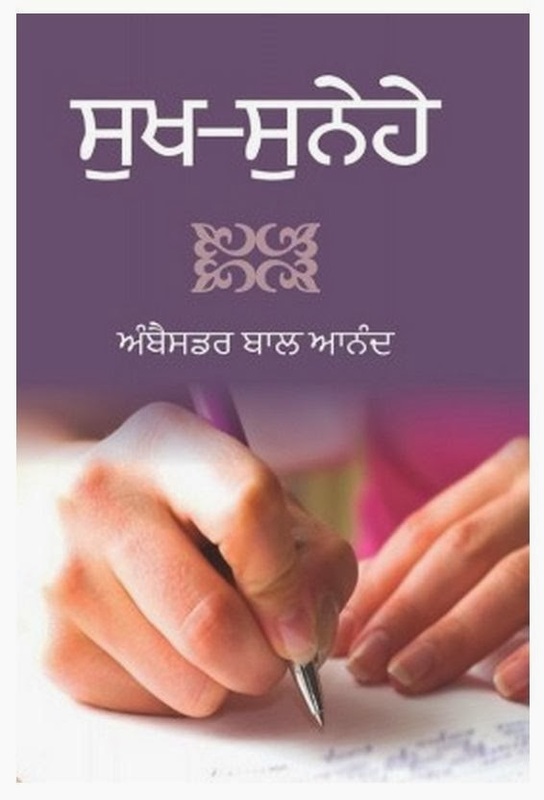 Giani Ji too willed the book to be published after his death. The Indian politicians, perhaps, are extra cautious to keep all options open till the last breath - the political truth could be conveniently modified according to the attendant and evolving individual ambitions. Giani Ji could muster limited belated courage, of putting on record - in words of English - his thoughts and perceptions on some of the fiercest political battles of complex national challenges in which he was caught- some time firing political salvos, sometime in the cross fire. 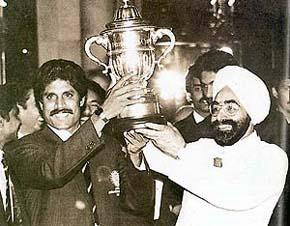 Born in a humble home of a peasant - carpenter family in the most backward part of Malwa region of Punjab and brought up under conditions of acute physical hardships and missing formal education, Giani Ji had indeed continued confounding his admirers and detractors by his consummate political skills in the ever turbulent political waters of not only Punjab but also at the Byzantine Delhi Durbar. As a popular mass leader, he reflected the quintessential ethos and aura of the sufferings and sacrifices during the freedom struggle of India. He had few peers as a forceful and mesmerizing orator in Punjabi and Hindustani. He had an elephantine memory of old comrades and even faceless congress workers in the country and believed in helping them without their asking for the favor. The admirers of Giani Ji ruefully remember how his caste conscious opponents in his home state of Punjab derisively called him ‘Gulli Gharh’ - the wood worker. Punjab has been waiting since long the change in the caste of the chair of Chief Minister. The quintessential son of the soil and ever a hard realist and nationalist to the core, Giani Ji wisely chose to be cremated in Delhi, in the vicinity of memorials of the Father of the Nation and the First Family of the country. How the nation will plan to remember him in 2016 - the year of the centenary of his birth - will is quite instructive to watch. A very brief but excellently narrated piece of information on Giani Zail Singh, valiant son of Punjab and a mass leader. I vividly remember two occasions when I was impressed by his knowledge and oratory skills – firstly during elections in 1980 and second time his address to the nation when gruesome operation Blue Star happened. This is well written piece on Giani ji. Regrettably Gianiji was the object of so many silly jokes.He had an earthy sense of humour for sure. The one thing that stood out was that he always immacuately dressed. Shri Bal Anand desreves thanks for the personal note while recording his impressions.